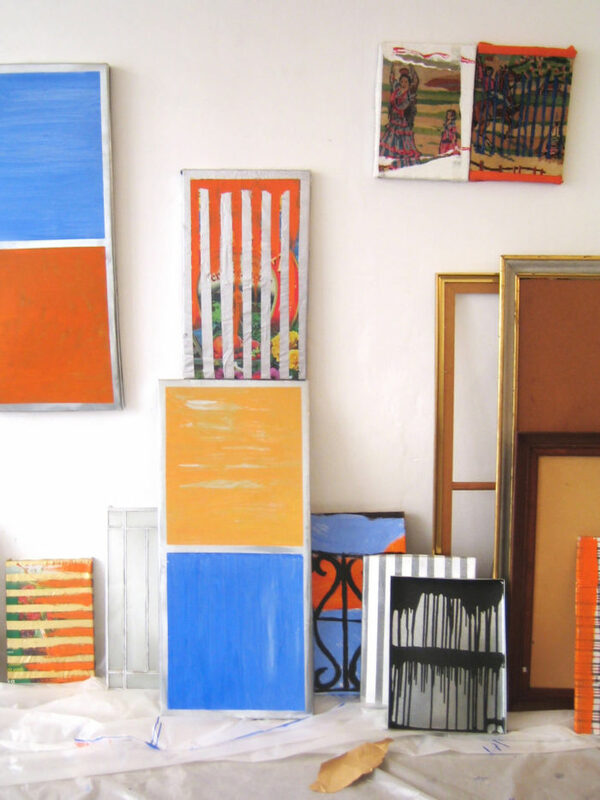 Corrugated plastic plates, paint colors on bags and sheets, the components in Bernard Gracier’s paintings give the impression of déjà vu, objects of the ready-made according to Duchamp. For his projects, he is mainly focused on collage and painting, using everyday urban materials – such as lime, tar, wood, plastic bags, angle iron – upon which he draws and creates. His artworks are inspired from his contemplations of the city, of the mixture of images, mediums and references. Thusly, Bernard Gracier displays the anodyne energy contained in trivial objects and explores the gap that is created between the perception we have of the object in our culture or our emotional memory, and the one we have of it today. This estrangement that goes beyond the formal function of the artwork, speaks of us, and frees the dialectical relation between the fabricated object and the one who looks at it.